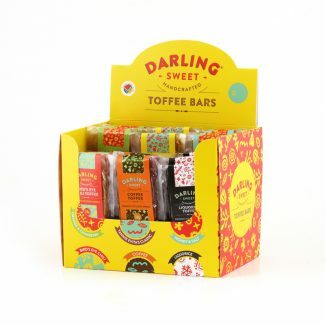 Darling Sweet brings you preservative free butter-rich toffees inspired by flavours from the Swartland. 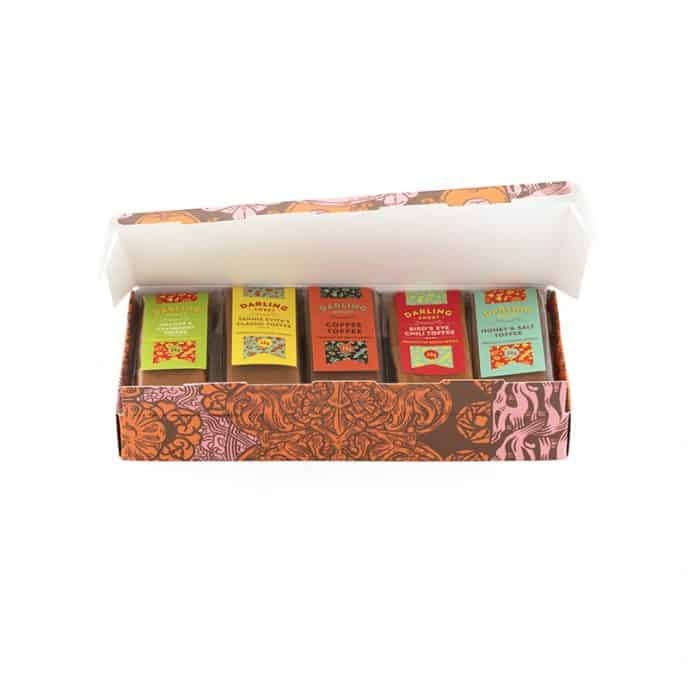 The gift pack is so exquisite it won’t need any wrapping paper! 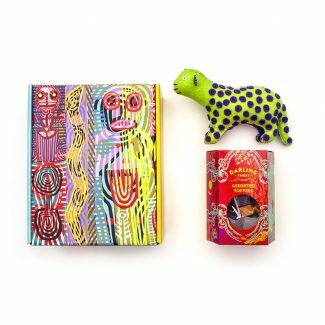 It is a perfect dinner party gift, or could work as a gift to someone you love – made with care in South Africa. 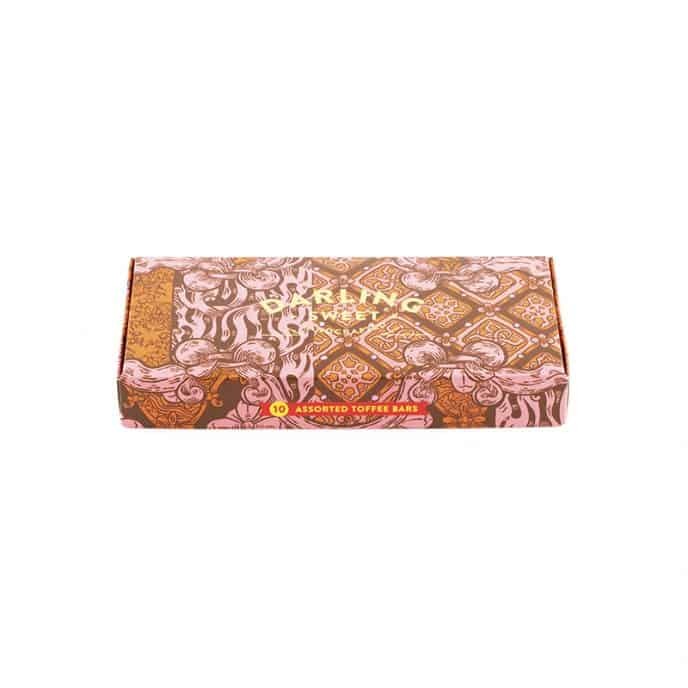 This box contains ten 30g bars of the following flavours: Tannie Evita’s Classic Toffee, Honey & Salt Toffee, Bird’s Eye Chili, Mint toffee, Orange & Cranberry toffee, Coffee toffee and Liquorice toffee. 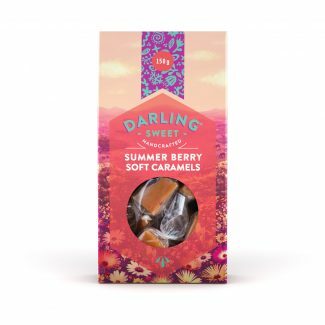 Darling Sweet brings you preservative free butter-rich toffees inspired by flavours from the Swartland. The gift pack is so exquisite it won’t need any wrapping paper! It is a perfect dinner party gift, or could work as a gift to someone you love – made with care in South Africa. This box contains ten 30g bars of the following flavours: Tannie Evita’s Classic toffee, Honey & Salt toffee, Bird’s Eye Chili toffee, Mint toffee, Orange & Cranberry toffee, Coffee toffee and Liquorice toffee.